Why Choose the VI Peel ? VI Peels represent the next generation in chemical peels. Each treatment is virtually pain free with results in as little as seven days. Unique from other peels, the VI Peel nurtures the skin with vitamins and minerals during the exfoliation process. VI Peels are suitable for various skin types, including darker skin tones. They offer specifically designed treatments that are convenient and targeted to address: anti-aging, hyperpigmentation, sun spots, damaged skin, acne prone skin and acne scarring. 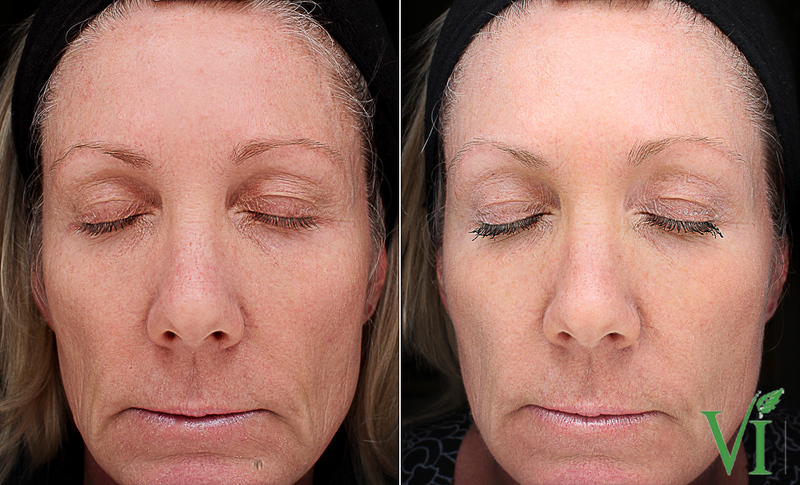 The VI Peel Portfolio provides dramatic results with no skin preparation and minimal downtime. The VI Peel also provides you with a take home kit of essential products for your treatment's success, ensuring optimal and lasting results. Enjoy your feeling more confident in your skin.